Home / Columnists/ A pension for the entire nation; viable or not? A pension for the entire nation; viable or not? There has been much debate about launching a pension scheme for those who do not get a government pension or do not currently have a provident fund account. Traditionally the only pension plan we knew were the pensions earned by State employees, other than a few banks, the private sector had no pension schemes. Also for generations we have been used to a culture where children and families have taken the burden of the elderly. Many are of the opinion that like in the West the situation is changing fast in Sri Lanka and concern for the aged is losing its place as an accepted norm. We are also confronted with an ageing population and although we could address part of the problem by extending the age of retirement, we are likely to have a large segment of our population as retirees. Therefore, a pension for all would be popular with the younger workers, provided the idea of a pension scheme is explained to them and certain problems in relation to sectors such as apparel which attract young females, need to be examined and dealt with effectively. The overall objective of the scheme should be to secure for an average worker a payment, which at least guarantees his/her financial independence at the time of retirement. However, the main issue for them is how the scheme is funded – what commitments are expected from them? What could they expect in terms of sufficiency of the monthly payments? Would it have an adverse impact on their existing benefits? What special benefits does the scheme offer in real terms to an employee who works loyally for 25-35 years for one company? Globally, schemes tied to final salary are on the decline. Most are now closed to new employees joining and some are closing to employees already in the scheme, with a buy out. One or more banks in Sri Lanka which had pension funds have either moved away from them or closed the schemes to new entrants. These existing schemes will continue their progression from a core employee benefit to a complex and risky financial liability. Managing these liabilities creates little upside opportunity for companies, but instead poses significant financial risks and ties up precious management time. This has led to an end game in many pension schemes: the beginning of the approach whereby a company and its trustees start to consider the final settlement of pension scheme liabilities at some point in the future. For some, the end game could be many years from now, requiring a carefully managed program to control risk until that point is achieved. For others, the end game may be in the near future. The dramatic growth in the number of insurers seeking to acquire these liabilities from organizations is driving a growing market in accelerated settlements. The boards of many companies no longer consider their company final salary pension scheme as a key part of their HR strategy. Their sentiment is often that pensions ceased being a core employee benefit long ago; particularly for new and younger employees, and that the pension scheme is a risky and uncertain millstone around the company’s neck. Most final salary schemes are closed to new entrants, with many now closing to existing employee. 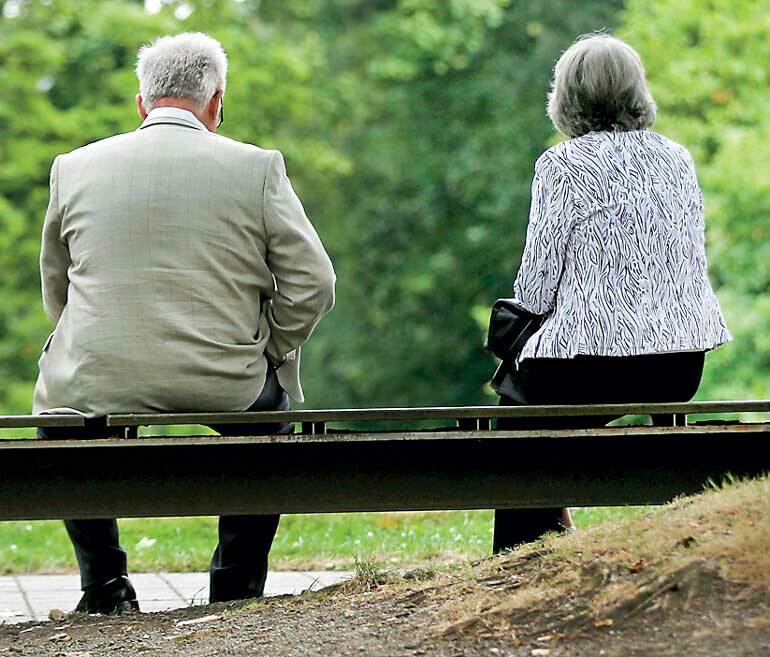 As the working life of these pension schemes draws to a close, they become only a liability to the company consisting of promises to pay pensions to ex-employees. Put simply, the pension scheme has now become a financial liability to be managed, controlled and ultimately eliminated in due time. A) Investment risk can be largely controlled but often is not. The assets of a pension scheme may not perform in line with the expected assumptions and may also not match changes in the size of the liabilities over time as interest rates at different durations change. This creates a risk that in the future the investments either outperform or underperform relative to the liabilities and assumptions. In a typical pension scheme assets are not closely matched to liabilities. B) Inflation can pose a significant risk to all pension schemes. For most pension schemes, a large proportion of pension benefits are linked to the inflation rate, if future inflation is higher than anticipated, then the cost of providing benefits will also be higher. However, the overall impact on the schemes’ finances will depend to a large extent on the inflation matching provided by the scheme’s assets. C) The longevity risk is the number one risk for any pension schemes and also the most difficult risk to control. Therefore longevity risk must be uppermost in the minds of the promoters as a problem area for any proposed scheme. Given these risks, it may be prudent for the government to study its current and long term funding options and the risks associated with managing pension scheme in consultation with the private sector before any scheme is structured.